Photoacoustic imaging combines the accuracy of Spectroscopy and the depth resolution of Ultrasound, to create an accurate image of the object in question. Subsequently, this technology is being trumpeted to be the next big step in the field of Medical Imaging. 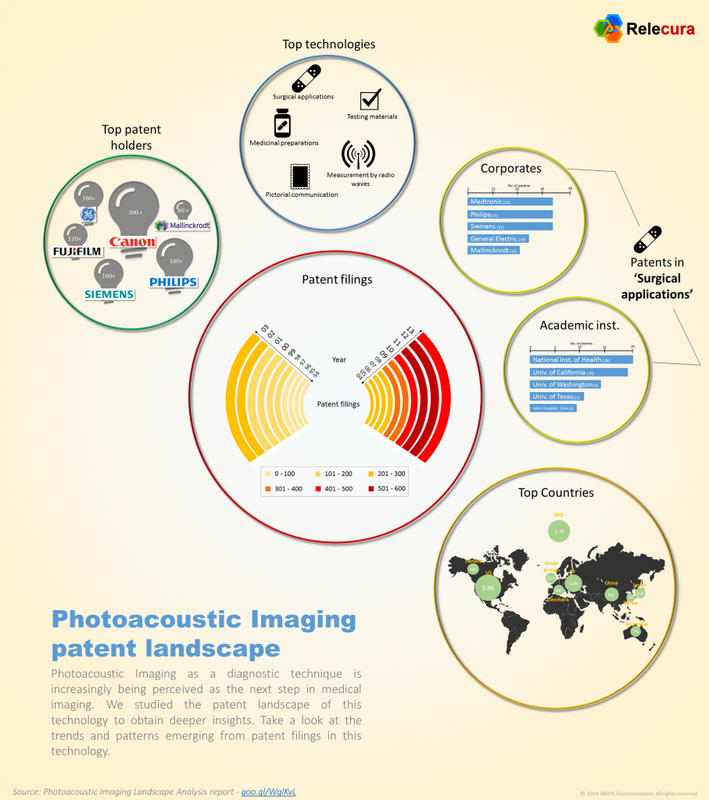 Hence, we decided to study the patent landscape in this technology area. Patent filings in this area have witnessed a consistent growth over the years. In terms of patent asset holders, Canon, Philips and Siemens lead the race. Our analysis also indicates that Surgical Applications is one of the top sub-technologies in this area, and several academic institutes such as University of California and University of Washington also hold patents in this domain. Take a look at what trends and patterns are unfolding owing to patent filings in this technology area.